The Tailgate and the rear bumper cladding both are extremely; well Chinese, the Harrier looks much better. Nope on looks alone I would say naah for this one. The front is fine, but not the rear. One goes to the interior if one is Ok with the Brand and the exterior. Special finance options for Hector from Yes bank. Spotted MG Hector on NE1 ( Vadodara to Ahmedabad) by a friend. 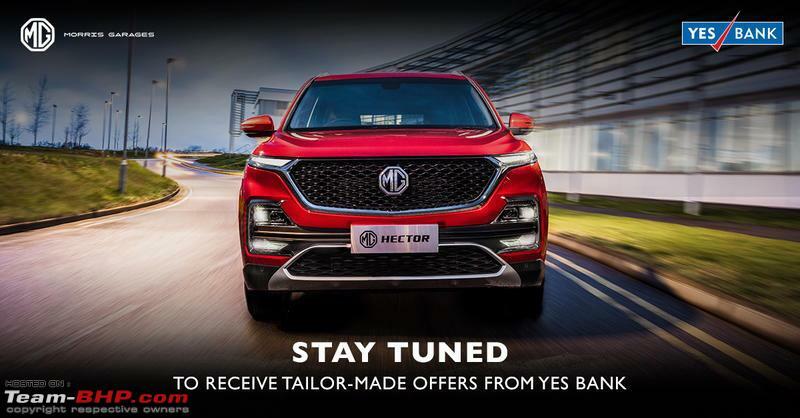 MG Motor India Pvt. Ltd. is situated at Halol-GUJ. So NE1 is the best playground for them to test their cars. I read somewhere that nothing feels ‘Chinese’ about this car but it totally looks chinese. The rear looks pretty tacky to be honest. Harrier wins hands down in terms of looks. Can confirm that the second row of the Harrier is very comfortable with seats that are not just stylish but also has just the right cushioning. The model has a flat floor so three people can sit with ease. Luggage space is massive since the model is likely to be just a five seater at start. Overall, the SUV does feel quite plush, but looks under tyred. Saw the Hector test mule once again yesterday. This one looked bigger than the one I saw earlier. MG testing another smaller sibling of Hector? 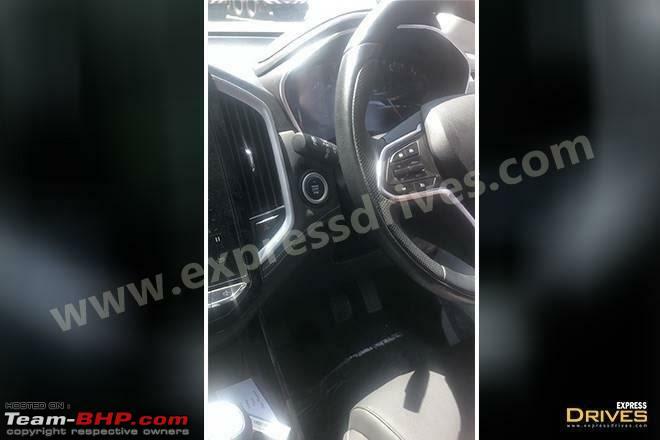 MG Hector interior images leaked for the first time. Last edited by reddevilgautam : 20th April 2019 at 17:44. Last edited by sreejinair : 20th April 2019 at 17:54. MG's showroom in Faridabad (my current place) is coming in the same place where Chevrolet dealership was located. They are refurbishing the place as per MG's standards. I recall the dealer was rated fair/ good except one case where an accidental Beat was not repainted to highest quality. That is one ugly looking center console. 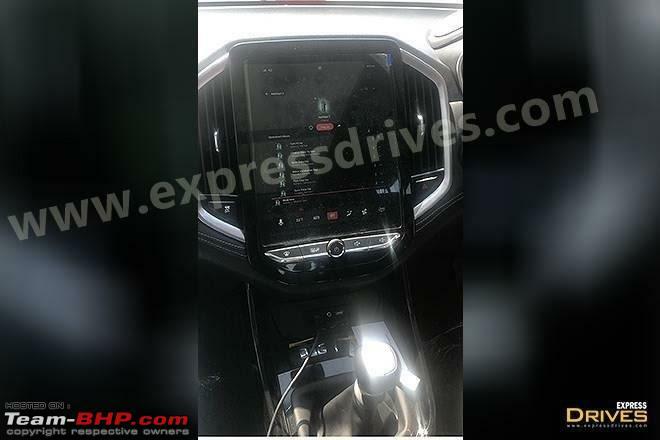 Talk about this being a "Chinese car"
That touch panel takes me back to those days when those big Chinese replica phones and mp3 players were in the trend. Chinese designs have a reputation of going over the top. Too many cuts, creases, kinks, extra plastic and what not. Makes the whole car look really busy and bulky. Exact opposite from say a Volvo. 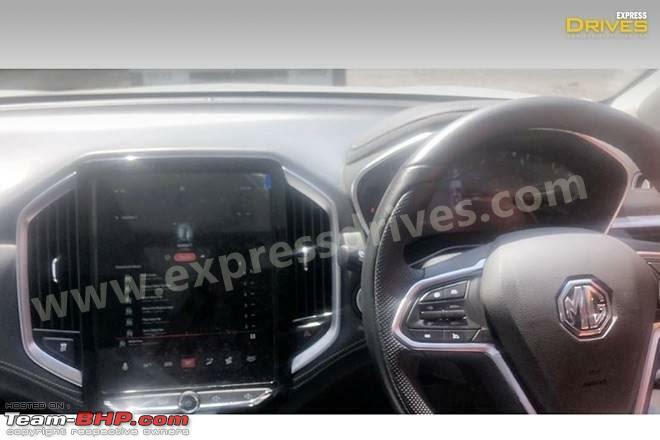 On a lighter note: looking at the Hector dashboard, my suspicions of Mahindra designers being from China holds up. Remember MG is now a pucca Chinese brand, so how much of the old DNA has survived we do not know. Normally Chinese is cheap and cheerful, and not necessarily durable. So I will hold on for a few years before investing in any MG Automobile. Agree with you Sir, I am surprised how we get influenced, even on this forum! 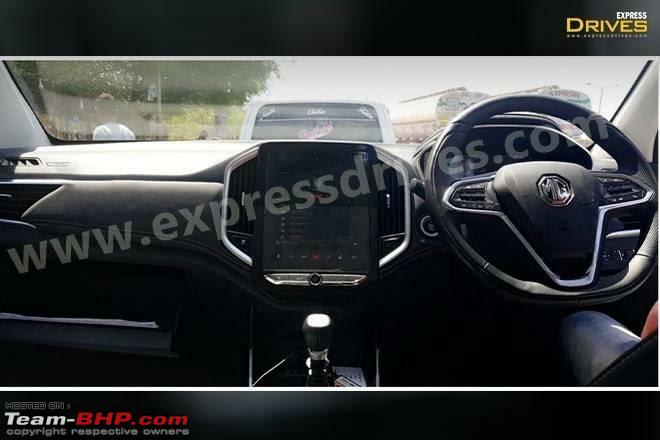 This is not British MG any more, its a Baojun 530 which is 100% Chinese car, SAIC took a Chinese car put MG Logo on it and start selling it in India. They want to take us for a ride and we as Indians are very happy with it. We can probably have a competition on the number of cars that the Hector designers have copied from. So far I could count 3. Maybe there's a market for such ripoff designs. There is indeed one atleast we know of. China The market is flooded with rip-offs right from phones to cars. Let's see if they are accepted in India like their phones were. Last edited by SoumenD : 23rd April 2019 at 06:18. So what if its a Chinese car. Is there something wrong with chinese products ? I have seen so many chinese products which are horrible in quality and even so many that are outstanding. Let's look at the alternative 'PURE' Indian brands that offer cars. Mahindra, TATA, Maruti and Force motors. These are the only pure Indian brands I can think of (My apologies if I missed any). Maruti is not exactly pure Indian with the Suzuki partnership but still can be considered. I don't see any of them offering groundbreaking innovations. Hyundai, on the other hand, is Korean but are on the forefront of innovation and segment first features. So basically just stereotyping is really not a good mindset. FYI I am not against any Indian brand but I am also not against any other brands/companies. At the end the product should be nice. If MG is good it will be remain & succeed and if it is bad it will be out of the market soon. We should not assume people are naive. People (including us all) will buy, if we like it.